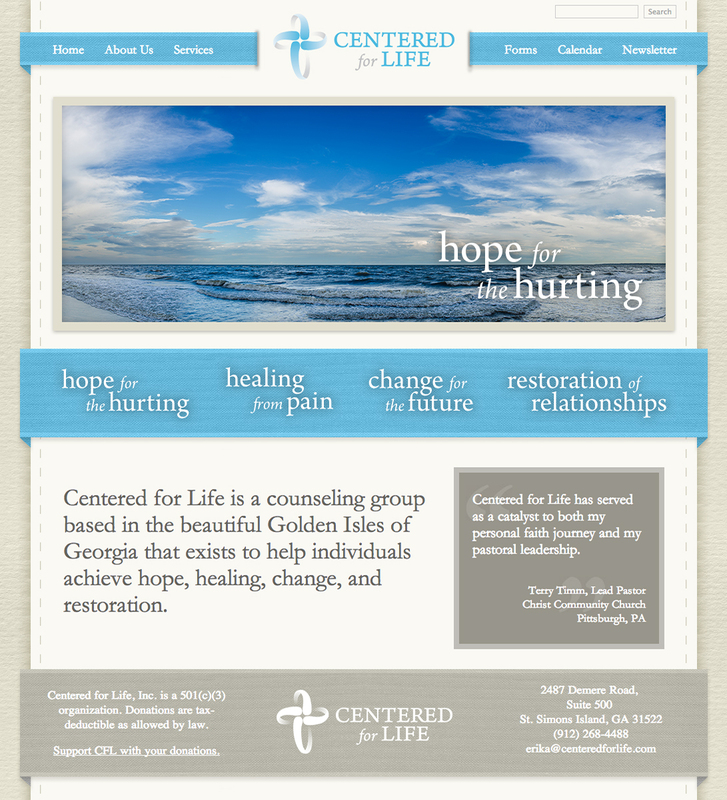 Centered for Life is a counseling service on St Simons Island, GA that has been doing some outstanding work in the community helping their clients find hope, healing, change, and restoration. The goal of the website was to provide information about Centered for Life and its services in a site that was visually soothing. Front and center of every page are photographs (also made by us) of the Golden Isles that share the core mission of the group: Hope for the Hurting, Healing from Pain, Change for the Future, & Restoration of Relationships.